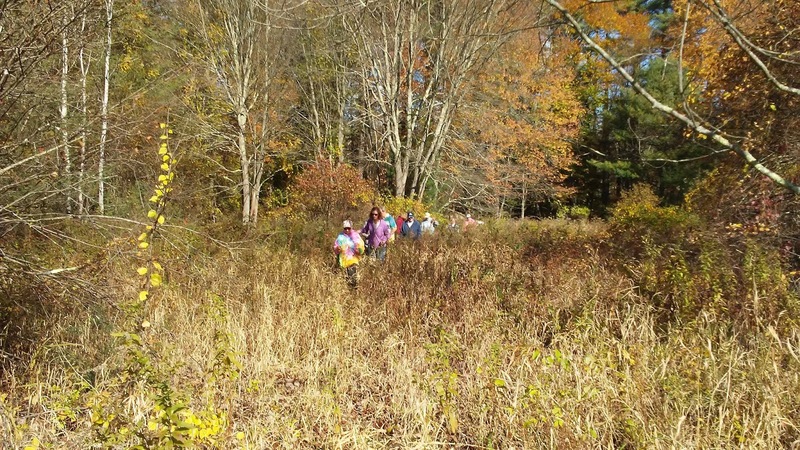 The Oct. 28 Charles River Meadowlands hike attracted a total of 20 people. 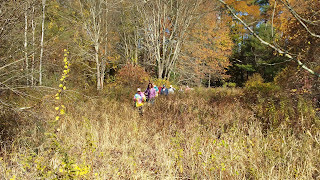 The group made it through the rugged, wet, and overgrown terrain south of Oak Street Extension, eventually emerging in beautiful upland fields and tall stands of evergreens, ultimately exiting via White Avenue. Two town council candidates attended the event: Eamon McCarthy Earls and Andy Bissanti. “It was great to have so many people exploring this area,” said Meadowlands organizer, Alan Earls. “We got to see the challenges for trail development in the wetter areas as well as the enormous potential in the extensive field and forest sections,” he added.